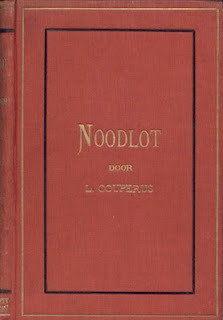 Noodlot, in translation "Fate" is a book by Louis Couperus. 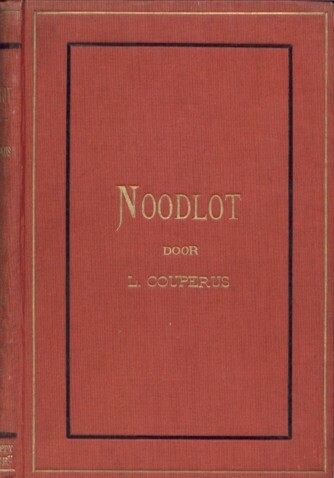 Couperus is one of the literary giants of the Dutch literature and, it makes excellent sense to make this book available to a reading public. To this end, someone took the djvu file from the Gutenberg project and started the proof reading process at the Dutch Wikisource. This process is still ongoing, I did two pages and I regret it. The regret is because the book has already been proofread at project Gutenberg. As the book is in the public domain, the proof read transliteration is also in the public domain. What is the point ? Why not do another book ? The aim of transliteration and possibly the editing of the lay out of the book serves one aim. Making it available to readers. It makes sense to do the proofreading once. There are many other books that are waiting to be digitised for a first time. There are plenty of other sources that are waiting, waiting in a library a museum an archive. Let us not waste our efforts. Let us do things once and let us do them well. When we are done with the proofreading, the formatting we need to find a public appreciative of the work done. To make it attractive it helps when there is a lot to choose from and when it is available in the format expected by our intended public.